You want to remodel your kitchen, but you only have enough saved to renew your countertops. After much contemplation, you’ve narrowed it down to either granite or quartz countertops. But you’re having trouble deciding which one you really want and need. There are plenty of delusions and assumptions floating around out there about granite and quartz. This blog will tell you exactly what you can expect and sort out the pros and cons of quartz vs. granite countertops. Quartz is a mineral and one of the most abundant on our planet. Quartz has a wide variety of colors and patterns that show up are 100% synthetic. Quartz countertops are made up of crushed quartz mixed with resin in a ratio of 93% quartz material to 7% resin binder and color additives. They are manufactured in a variety of different patterns and colors. This gives you alot more options for both monotone textures or colors that have more variation. Quartz may look like they’re straight from Mother Nature—and that’s the idea—yet, quartz is actually crushed and customarily blended with resin or some other kind of binding agent. The finished stone appears to be rich. Many people are encouraged by the fact that quartz countertops don’t require any maintenance. One of the biggest benefits that quartz has is it doesn’t need to be sealed and it’s stainless. Quartz countertops can handle oil, tomato, wine, coffee, juice and many other stainable products. Plus, quartz doesn’t hold viruses or bacteria so you know that your countertops will be clean when you wipe it down. It may be hard to believe, but quartz is heftier than granite—and that’s saying a lot! When you’re looking at which one chips easier, quartz is a bit more flexible so it’s the stronger of the two. Related: Silestone Countertops: The Pros & Cons. Like granite, quartz seams are still obvious. If you select darker quartz for your countertops it’s a good possibility that the seams won’t show at all which gives you a great contemporary, clean look. If the chosen quartz has many patterns or colors, it could be a bit trickier to hide the seams. Quartz has less natural beauty compared to granite. Many of the quartz manufacturers are trying desperately to come up with colors that look more like the natural look of granite, but many fail miserably. Right now Cambria, does the best job at looking like natural stone. But how expensive is a quartz countertop? Compared to granite, quartz is generally going to cost you a bit more because it’s man-made and the price in controlled by the manufacturer (as opposed to buying raw material). Typically, quartz will cost you about $70-$100 per square foot. 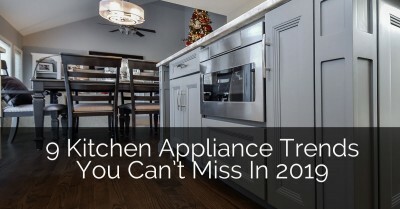 If you are looking for Helpful Tips to Budgeting Your Kitchen check out our blog post. Each slab of granite is totally unique. Why? Granite is mined as single, large slabs that are 100% natural stone and no two sheets are alike. Some colors of Granite can come in jumbo slab sizes for use on large island cabinetry. This is a benefit because you don’t need to put an unsightly seam in the center of your kitchen. If you have a large island or spacious kitchen, granite may be the answer to avoid seams. There are hundreds of shades/colors of granite slabs to choose from and they’re beautiful and impressive to look at; many people consider the imperfections to be what makes granite so distinctive. Take a look at our remodeling ideas page for more inspiration. It can even become the focal point of your kitchen which will blend well with your floor, walls, and cabinets. In general, granite stands up to normal use quite well although it can dull your knife blades (although we never recommend using granite countertops as a cutting board). Granite can be used outdoors. Because it a natural mineral granite is built to withstand the elements. It won’t weather or fade because of exposure to the sun. When granite is correctly sealed by a professional, your granite countertops won’t soak up liquids and is stain-resistant. Granite has a wide range of pricing. While your most inexpensive, low-end granite will run you about $55 per square foot, you must be careful of hidden fees. However, if you’re considering exotic, high-quality granite, you could shell out as much as $150 per square foot! Related: Before & After: 3 Unique Kitchen Remodeling Projects. If you’re going to replace a large countertop, you’ll need a few different slabs to finish the job and it’ll be impossible to make the joining seams invisible. A professional will be able to make inconspicuous cuts and make the seam color correspond to the granite; yet, if you’re searching for the seams, they’ll be very evident. Granite, by nature, is absorbent. If your granite countertops aren’t properly sealed or left unsealed, it could end up absorbing oil, wine and juice which will create a stain that you won’t get rid of. In addition, improperly sealed granite will hold bacteria. You should plan to reseal your granite countertops once a year; if you don’t the countertops will quickly begin to show evidence of staining. Check out a blog we wrote about taking proper care of your granite countertops. Granite countertops are tough and long-lasting but, while it’s uncommon, if a heavy item like a frying pan is dropped on the countertop’s corner the granite could chip or crack. Granite tends to have a lot of variation in the tone and texture. Depending on your taste, you may not like this variation. 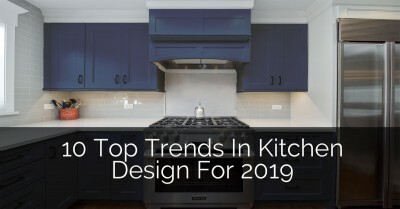 In the past five years, monotone colors have become more popular which limits the use of granite in contemporary kitchens. Now that you have heard all the pros and cons of quartz vs granite countertops you can make an informed decision. If you’re still having trouble deciding or would like more information, please contact us or check out this great article. We’ll be happy to help you select the countertop that will work best for you. You want to remodel your kitchen but you only have enough saved to renew your countertops. I think remodeling your counter tops is a great idea! Both options are beautiful and efficient. I think I’m going to do that in my kitchen now. I don’t have enough money to remodel but I have enough for new counter tops and that makes a big difference in your kitchen. I really like the idea of quartz countertops looking “…like they’re straight from Mother Nature…” I think that would add a really nice touch to our kitchen. My wife and I are redesigning everything and are trying to decide on what to do with our kitchen counter. I like that there are so many options to go with. It will help us find a one that will work best for us. Thanks for the great information on the different choices! 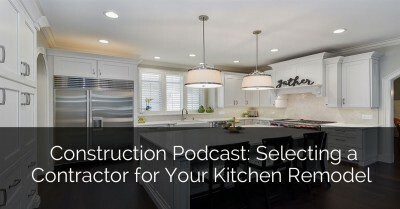 Thanks for going over the pros and cons of granite and quartz countertops. I am planning a kitchen remodel and I was trying to decide with my wife what type of countertop we wanted. I can see why these two options are really popular. I really want a nice, clean look so I think I might be leaning towards quartz. Thanks for posting! Between the two, my favorite is granite. Being able to be outside, and withstand more wear and tear makes it a deal breaker for me. I like my counters to last a long time if I can. My wife and I are planning on doing a kitchen remodel this summer. We are still in the planning process, so this post was very helpful. 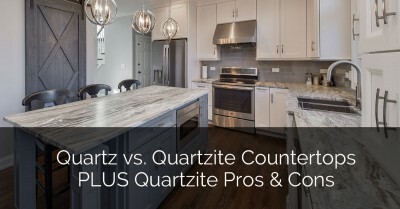 I’m a big fan of pros and cons list, so it was nice to be able to compare both granite and quartz counter-tops. Thanks for sharing this. It’s nice to know that quartz countertops has a wide variety of colors and patterns. As I am beginning the process of remodeling my kitchen, I don’t know exactly what I want my color scheme or style to be. Thus, this will help me to be able to still make decisions, but still have room to make styling decisions along the way. Thanks for sharing. 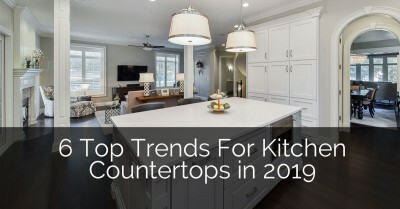 I have been trying to decide on what type of countertops that I should have installed in my kitchen when I remodel it, but this post is making me think that granite might be the best option. I especially like that there is so much variety in the shades and colors, giving me hundreds of options to choose from. However, I also like how stain-resistant this type of material is as well and that is probably the most important thing for me as I cook a lot. I have been looking for something new and unique to put in my kitchen. Something that I’m not going to find in one of my neighbors home. It’s cool to hear that granite is never alike to another sheet of granite. At least that way I would be able to have my uniqueness that I’ve been wanting. Thank you for the article. It seems like although granite tops may be more work, there is a certain prestige when it comes to having them. I got them out of that prestige and spent way more money than I wanted to. Thank you for giving an honest and unbiased opinion on this. It’s hard to find that. 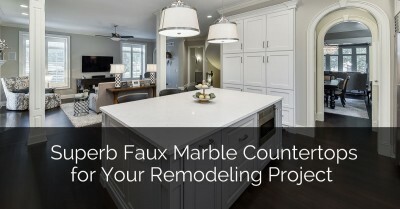 This is some great information, and I appreciate your point that quartz counters don’t require maintenance. 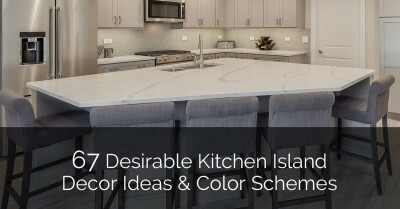 My husband and I are going to be doing some kitchen renovations, and I’m still trying to make a decision about counter tops. I would really something that I don’t have to worry about staining, so I’ll definitely look into quartz. Thanks for the great post! Great article. The majority of my business is in granite and quartz countertops. I love both of these materials because they last long, improve the value of the home, and make your property stand out in elegance. This is one of the best articles about the pro’s and con’s of each material I have read so far. Nice thorough job! I’m trying to come up with a good material to make my counters out of. I didn’t know that quartz was such a good material! I like that it’s durable and easy to maintain. I’ll keep that in mind. It’s pleasant to recognise of which quartz design kitchen counter top possesses many colorings in addition to behaviour. 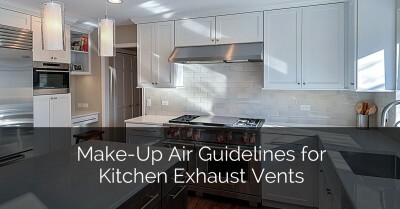 As i was outset accomplishing this connected with renovating the kitchen’s, When i don’t learn just what exactly I’d prefer the coloration program or maybe model for being. So, it will guide everyone so that you can however produce options, nevertheless include bedroom for making doing you hair options along the route. Appreciate it intended for giving. Great list of pros and cons, and the differences inherently between granite and quartz. The prices can vary widely, especially with granite. I prefer generally working with quartz, but there’s no denying the natural appeal of granite. Thanks for the read! Really nice blog. These granite or quarts counter tops are amazing. Can you showcase also the use of granite & quarts in bathroom vanities. Love to hear from you. Thanks, we absolutely will, great suggestion. Have a great day! So nice, Really beautiful countertops collection of granite and quartz and price is also the affordable. I am wanting to replace the counter tops in our kitchen, and am trying to determine which material I would like to use. I like the idea of using quartz, but am curious to know if there are any benefits to this type of material. It’s good to know that when it comes to using this type of material that it doesn’t require any maintenance. It will nice being able to have something we don’t need to worry about all the time, especially if something spills on it. I like that you mention that granite stands up well against the elements, making it a good option for the outside. I’ve been wanting to put in an outdoor kitchen for some time now, and I think having granite countertops would be a great option. I could choose from so many options and know that it would be durable enough to stand the weather. I agree with you that the imperfection of a granite is what makes it so attractive. I also liked how you said that granite is a good option for a kitchen countertop because there are a lot of colors to choose from that are really impressive to look at. The kitchen countertop is the main focus of the kitchen remodeling that we plan to carry out next spring. I was already considering it before seeing this article, so it was really nice that I read this. Thanks a lot! Thanks for sharing! I definitely lean towards team quartz countertops as they are so easy to maintain and durable. Quartz is not all its cracked up to be. Chips fairly easy around kitchen sink area. Mine is two years old and is already looking horrible. The chips are not reparable to my expectations and stand out like a sore thumb. I wish I would have went with granite now. Big mistake. Very good article. The picture of countertops is perfect. With many of the new sealers for natural stone, both granite and marble you only have to seal the stone once and it is good for 15-25 years. I had my installer use a sealer that my son used in his kitchen. Also, I read an article from the Marble institute of America that showed that natural stone is more sanitary than man made manufactured surfaces. All you have to do with natural stone is clean it with hot water and it kills bacteria quickly. Nature takes care of it by nature. Manufactured surfaces have to be cleaned with antibacterial cleaners to get the same effect. Then the residue from those cleaners can get in your food. I also read that epoxy starts to melt and emits highly carcinogenic fumes at 320 degrees and natural stone surfaces are not effected up to 1,200 degrees. Thanks for the education. I love what I always read here. Thank you so much. Such an amazing topic I must say. Short but very informative article. Thanks for sharing such a helpful stuff. 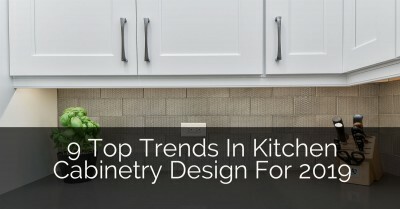 A very well written topic and I would suggest granite countertops because they have the ability to give unique look and feel to your home. Marble cannot crack easily and they it is one of the strongest natural variety of stone. It caught my attention when you said that quartz countertops don’t need to be maintained, and they don’t need to be sealed too. My plan is to install kitchen quartz countertops. I do have a very schedule at work, so it’s important for me to find a material for countertops that won’t require so much time from me. Thanks for sharing this. You got me when you said that granite comes in hundreds of colors that can make your countertop impressive. My husband and I are planning to have kitchen countertops installed. We want to make sure that our countertops will help us to improve the way our kitchen looks. We don’t want to ruin how our kitchen originally looks, so we’ll consider granite countertops. It caught my attention when you said that granite countertops are impressive to look at, and they can come in hundreds of colors. We’re planning to find a type of stone countertop that can make our kitchen stand out. We want to make sure that our kitchen will increase the marketability of our house when we sell it, so it’s important for us to ensure that home buyers will love our house. Thanks for sharing this. 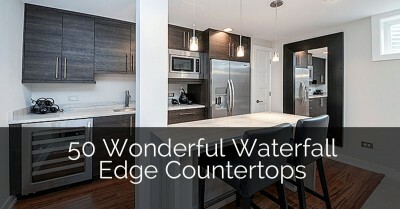 A very informative piece for homeowners looking for suitable countertop for their kitchen or bathrooms. The pros and cons of both granite and quartz are elaborately mentioned which makes it easier to decide which material to chose an will prove a better option. There has always been a neck-to-neck fight in the demand for these two materials. But after reading such a detailed review about them plus the facts shared will make the readers much more aware to take an informed decision. It sure was nice to know that granite comes in hundreds of shades that can be impressive to look at. My husband and I are planning to install kitchen stone countertops. We want our stone countertops to match the architectural design of our house since we’re keen on making everything in order. We’re also planning to do changes to our kitchen to make it look better, so we’ll do all your tips.